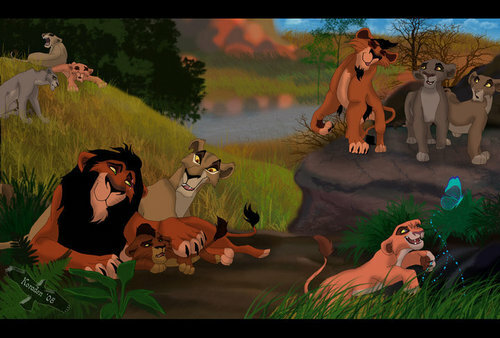 Scar`s family. by Koraden. HD Wallpaper and background images in the The Lion King club tagged: disney the lion king lion. MadKakerlaken you have to stop correcting everyone like you a genuis, they found it on google so yeah. Stop correcting them!!!!!!!! "Madkakerlaken" I have a message for u...................................STOP IT!!!!!!!!!!!!! !